The Pocket Jib Traveler is Kessler's newest and most compact Pocket Jib designed for shooters that require an ultra-portable jib solution. 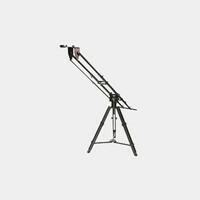 The Pocket Jib Traveler is 27 inches in length when collapsed and has a circular travel distance of 72 inches when fully extended. It surpasses other ultra-portable jibs through is unique design and light footprint, providing shooters with the perfect travel companion as they trek through extreme environments to capture the perfect shot. 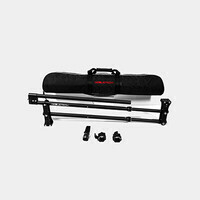 The Pocket Jib Traveler is completely self contained and does not need to be taken apart for travel unlike most similar sized jibs. 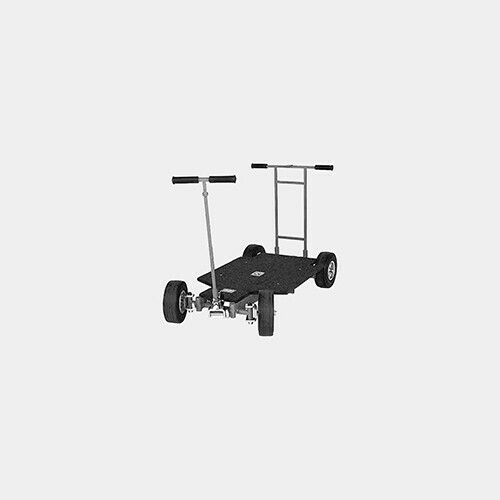 It also features drag control & locks, a rare feature in the ultra-portable jib category. The Pocket Jib Traveler's sliding weight bar reduces the overall counter-balance weight needed to balance the jib, thus reducing the required load necessary for your shoots. We recommend using dumbbell weights as counter weighs for the mini jib, as they come in different increments and are very compact. They are cheap and can be found at any good sports store. At the mounting base, there are both 3/8"-16 and 1/4"-20 threaded holes for a variety of mounting options. Whether it be our patented Kwik Release system, 100mm Ball Kit with a 3/8"-16 stud or even a standard tripod quick release plate, you'll be up and running in no time. Easily attach monitors and accessories with the provided 1/4"-20 holes on the side of the base. Note: A tripod and head are not included with this rental.